Academy Awards member, USA, 2017. Knight, Order of Arts and Letters, Ministry of Culture, France 2016. Nominated for Most Promising Actress, Césars, France 2014. Best Actor, National film Awards, India, 2012. Padma Shri, India’s 4th highest civilian honour for contribution to the arts, 2011.
International Honours: 6 Best Actor and/or Achievement Awards, since 2013. Indian Awards: more than 15, since 2004. Nominations, India and international: more than 5, since 2007. “One of the finest actors in Indian cinema for his versatile and natural acting. India’s biggest acting export.” Hindustan Times, February 2016. 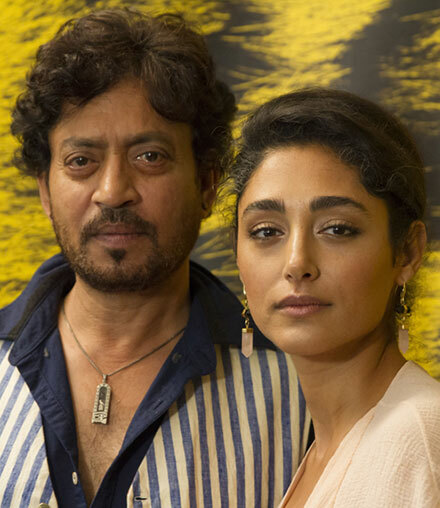 “Irrfan Khan’s stardom in Bollywood and Hollywood is purely via his talent.” Forbes, May 2017.